Engineering » What do we offer? We offer our students the NOCTI (National Occupational Competency Testing Institute) exam Architectural Drafting Assessment. Other students have passed the nationally recognized A+ Certification Exam to repair computers. A large majority of our Network Cabling class passed the Network Cabling Specialist Exam. Several of our Architectural students have been awarded an internship in the industry with the School Construction Authority. We have also been able to place many of our students in paid internships positions. In addition, some of our students have completed summer internships with major corporations in the technology industry. We want you to be part of the Architecture, Computer Technology and Engineering Science Small Learning Community. 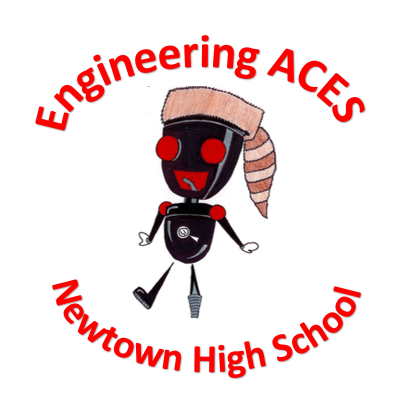 You will graduate with a Pre-Engineering endorsed Advanced Regents Diploma from Newtown High School and take your first steps toward a successful future. + All students must complete the following required English, Foreign Language, Math, Science and Social Studies courses.